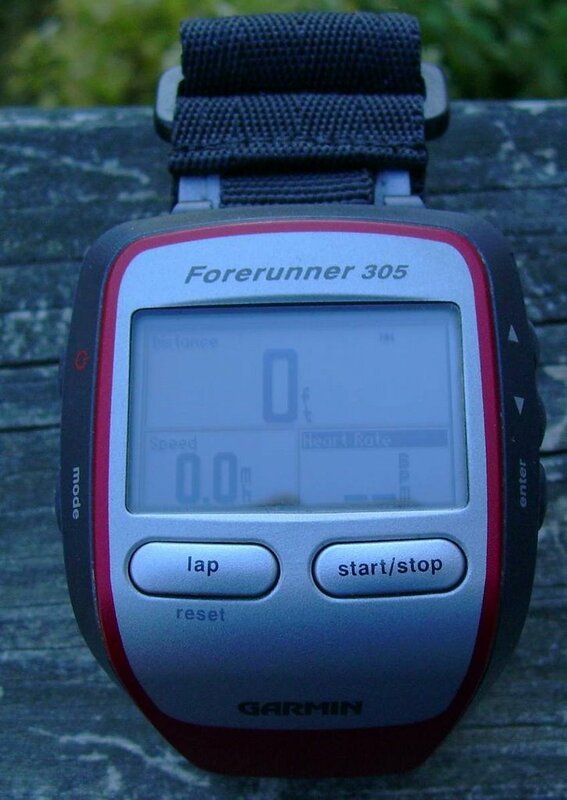 I use a Garmin Forerunner 305 to help me in my endurance endeavors. This unit has an integrated heart rate monitor that I have altered for my horse. This way I can monitor heart rate, speed, distance, and average speed while I ride. 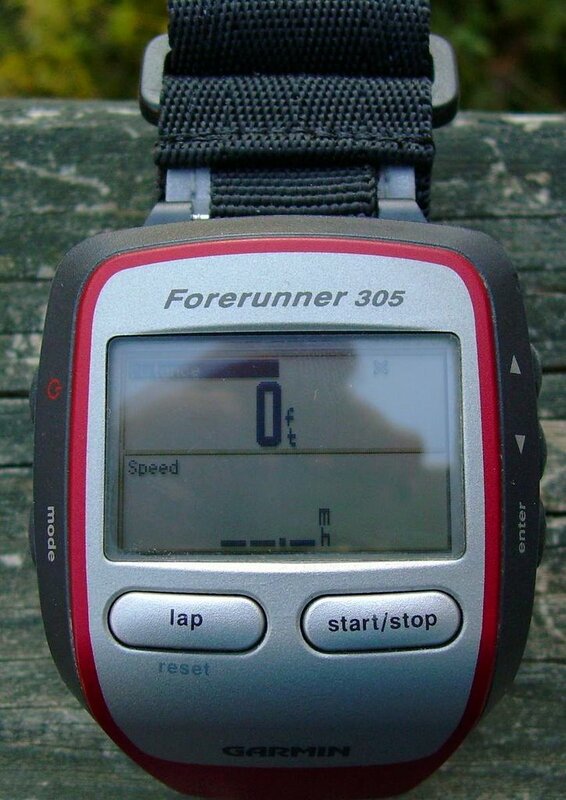 Before I had the Forerunner 305, I had its predecessor, the Garmin Forerunner 301. I really liked the 301, but since I've had the 305, I do not use the 301 anymore. 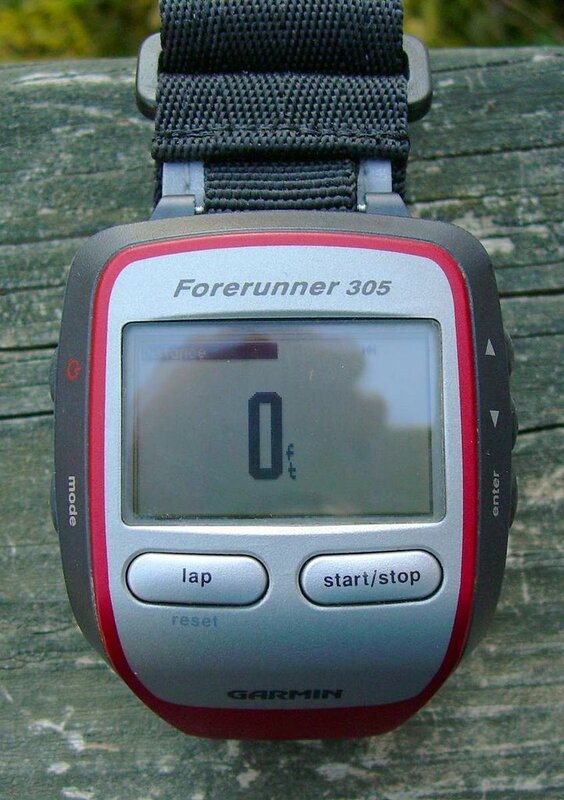 One thing about the Forerunner 305 is that the expected battery life is only around 10 hours. I go very slowly and my 50 mile competitions can run 12 hours including breaks, so 10 hours is not good. So I got a AA USB battery extender. This is a generic box that is used to charge USB devices using 4 AA batteries. Since the 305 can be charged via the USB port, one of these works well. have any trouble getting through a 100. I'm actually really lucky that my sport has holds where I can recharge very easily. Some other sports are harder to deal with the reduced battery life. This is one thing that disappointed me about the 305, but I really haven't been inconvenienced by it as much as I thought I would. Now, the thing you might have to think about in a 100 is the memory. I got about 95 miles worth of detailed data on my unit. This is also something you have to think about with the 301, which is also a good unit, but not as good satellite reception and doesn't have some of the workout bells that the 305 has. For me, my hubby downloads the data to his laptop every 2 or 3 loops, so I don't have to worry too much about lost data, but if you don't have a laptop, you'll have to be a little creative, but saving all the detail data can be done. The trackpoint recording thing, though, is very dependent on the trail. The curvier the trail, the less mileage can be stored because the unit is storing more trackpoints to cover the entire trail. If you're going straight for a long time, the unit won't record a trackpoint as often. Garmin calls this "Smart" recording. I got the actual antenna from www.gpsgeek.com. But like I said, I don't use this solution anymore because it's a pain. HUGE data field per screen, I can do that. I can have 1-4 fields per screen. If I have 1, it's really big. If I have 2, they take up 1/2 of the screen each. If I have 3 fields, the top field takes up the top 1/2 of the screen and the other 2 split the remaining half. And if I have 4 fields, they each take 1/4 of the screen. Even at 1/4 screen, I can see the data just fine. Now, if you have 3 or less screens, the 305 will show the heart rate (in addition to the 1,2, or 3 other fields) as the teeniest, tiniest font you've ever seen!! That takes a magnifying glass and perfect stillness to read! So I don't even count that as a useful thing. You can see 3 different screens. These screens all can be configured with 1-4 data fields and all the data fields can be configured to whatever you want. You can have the watch stay on one screen and you can switch between the screens by pressing a button. Or you can have the screens cycle automatically for you. For example, I have the following set up. All screens have 4 fields. I have these cycle for me automatically so I get to see everything in turn. I have the heart rate on every screen, so no matter when I look at the watch, I can see the heart rate. This really helps me with pacing and being careful with my horse through a 50 mile endurance ride. Before each endurance ride, I make 2 or 3 quarts of Fastrack and Neigh-Lox mixed with applesauce and water. I use my Braun blender to mix it all up, then pour into a quart mason jar. I make 1 quart for each day I'm going to be riding and an extra quart for good measure. First, I put in 12 oz of applesauce and about 1/2 cup of water. Then I weigh out 4 oz of Fastrack and 8 oz of Neigh-Lox. The Neigh-Lox is in pellet form, but my Braun blender is very capable of making the concoction smooth and easy to pull up in a 60 oz syringe. I put some more water in and turn the blender on about level 3. At some point, I usually have to stop the blender and open up the top. I use a spoon to mix the Neigh-Lox down into the rest of the mixture and then add more water. 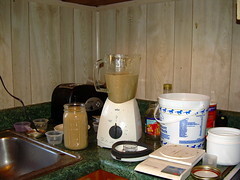 I turn the blender back on and slowly add more water until the consistency is correct. Then I pour into a quart mason jar. These go into the fridge until we leave at which point they are put into the cooler. Throughout a ride, Tanna will get this mixture by syringe. He thinks it's the best treat ever! And it encourages him to eat his regular food and I also give it after any electrolytes to help buffer his stomach from the salt.